We've printed over 12 million newspapers but still get really excited to spot something we've printed out in the world. It never gets old! 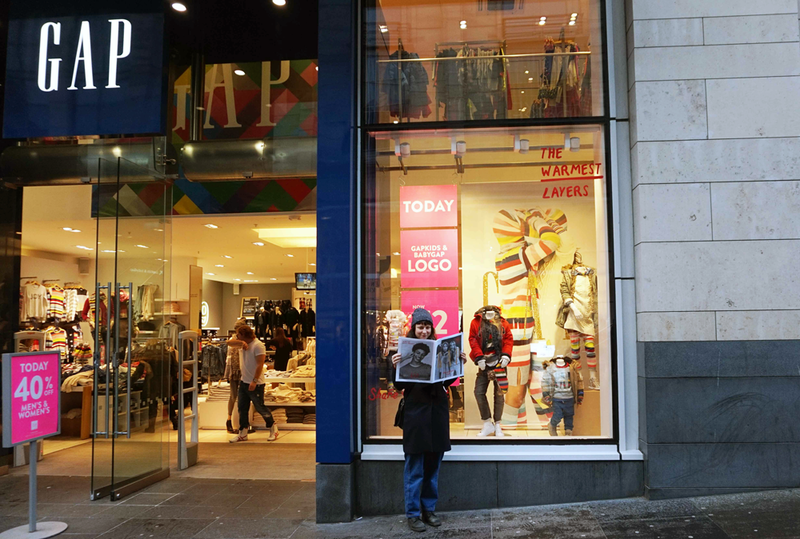 So when we heard Gap had released their new traditional tabloid gift guide, we braved the shopping crowds (and a chilly Glasgow afternoon) to check it out in its natural habitat. 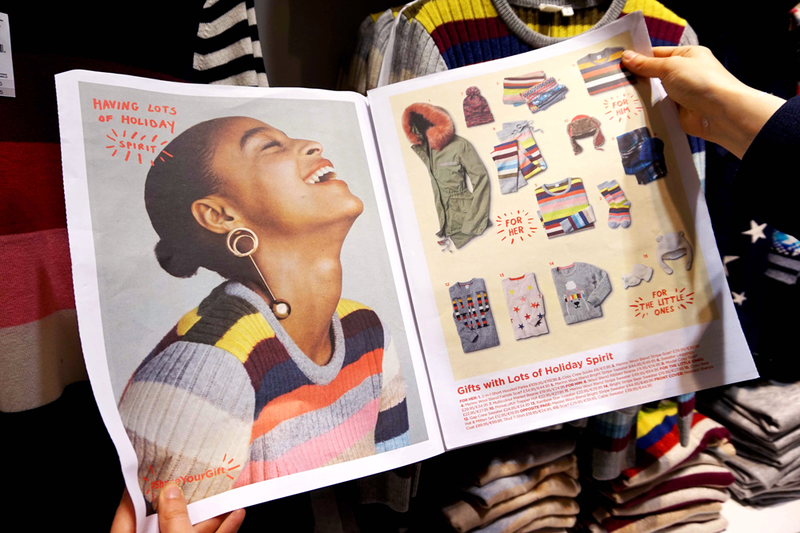 It's a cosy catalogue showing off Gap's shimmery, wooly holiday gift ideas. It's printed on 70gsm bright newsprint and the zingy colours really stand out. It looks great! 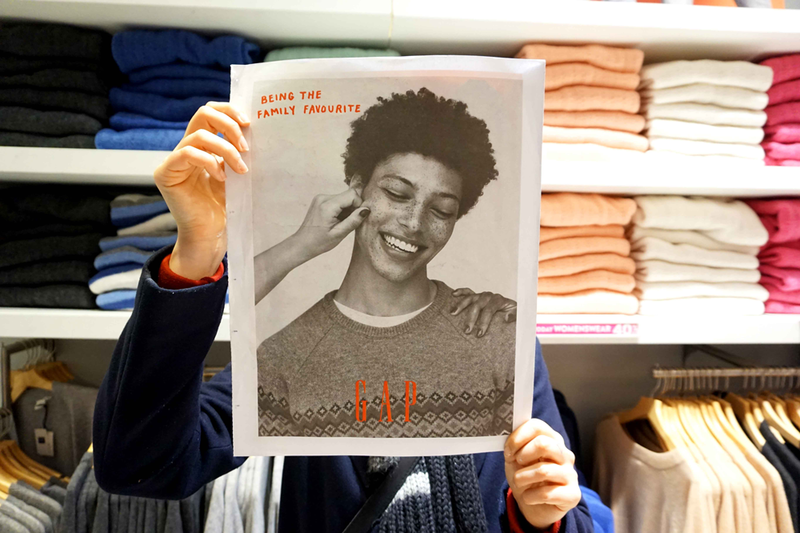 Find one at your nearest Gap to gather gift ideas or just to hold a very nice newspaper in your hands (a gift in itself).